So here is the door to my house. I love this door. I didn't choose it, it was here when I got here, but I love it all the same. I love the bright contrast to the house paint. But more than anything I love the message that it tells me - YOU'RE HOME. I see we both have red doors! I like contrasting doors on a house! And I obviously like red doors... & I Don't follow the stones theme "I see a red door and I want it painted black" ! And I just love the colour of your house - such a gorgeous blue! 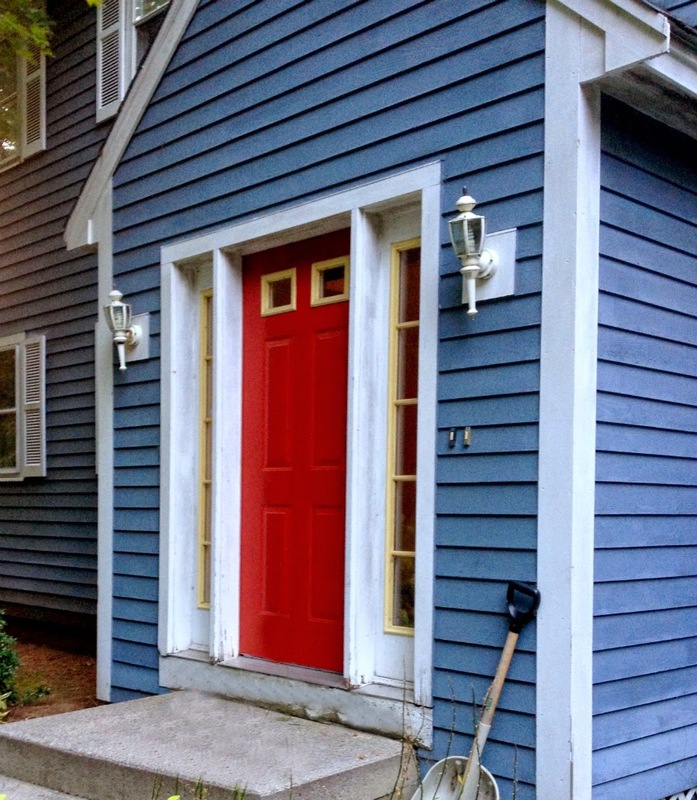 Growing up our front door was red (and so was the living room carpet-yuck). I love your cheerful door and the wonderful contrasting colors. Red doors are always so inviting and classic. You are so right - what is it about a red door that tells you someone creative and joyful lives inside? I love the way it pops out of the blue. I wonder if it has some kind of symbolic meaning that traveled down through time. Love your red door and how you have framed the shot! I love your red door!! I believe my friend Denise, who is a Feng Shui Master and author of a couple of Feng Shui books (dragongatefengshui.com), has told me before that a red door means 'Welcome'. And your red door and home look very inviting. I would definitely feel welcome here!